There are some basic questions out there that are difficult to answer, such as what limits human running speed. As technology advances, scientists can better study and start to answer this and other simple questions like what makes one athlete faster than another. 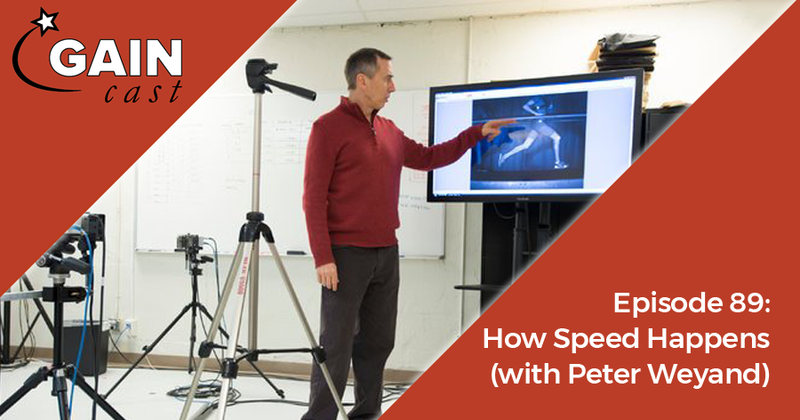 Dr. Peter Weyand has spent decades researching locomotion on both animals and humans. His work with elite sprinters has brought some interesting conclusions and is driving the field forward. On this episode of the GAINcast he joins us to discuss his research and its practical implications.